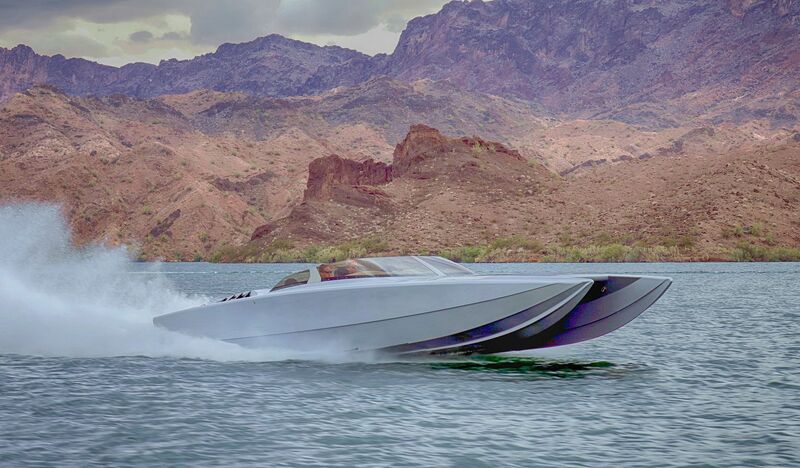 It’s also possible—after witnessing the new Skater 3312 in action during its first shakedown test late last week—that Superman might not be faster than this speeding bullet, which is powered by a set of 1,200-hp Sterling Performance engines. 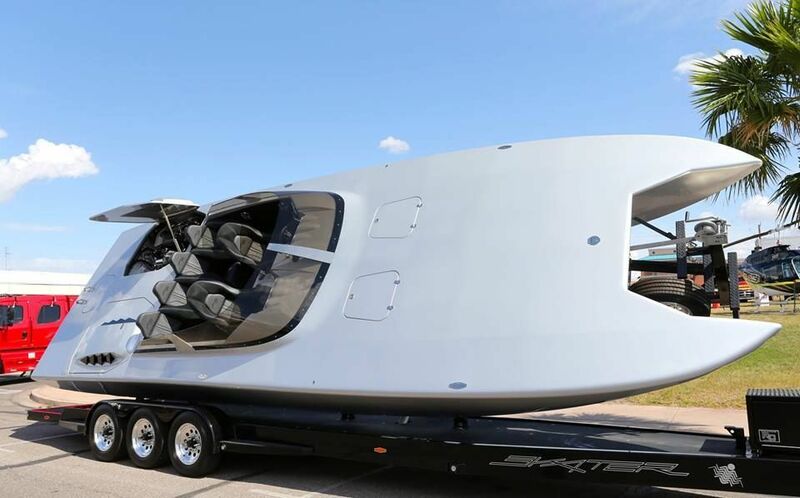 Super powers aside, the catamaran first debuted at the Miami International Boat Show in February where it was warm and sunny—well at least for a few days—and it drew tons of eyeballs not to mention several questions about how fast it will run and where its 3312 moniker was derived. Tony Cutsuries, Skater’s national sales manager, addressed the latter, explaining that the 33-footer rides on the same 30’ 7” running surface as Skater’s new 318 but features a widened tunnel (by 12 inches) and a three-foot bustle. Besides adding stability and providing more lift, he said the widened tunnel allows Skater to install four seats in the back, meaning six people can enjoy a day on the water in comfort. Flashforward to a chilly overcast day in Michigan, the water brown from the recent rains and snow melt. 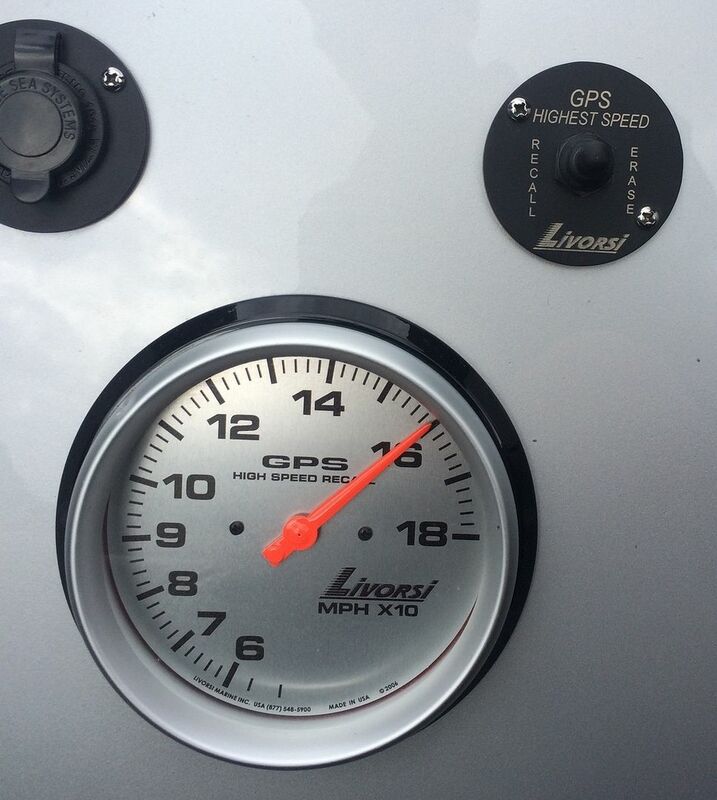 With two propellers available, the least aggressive was chosen first and the boat headed out for the initial shakedown. A couple of passes later, after some acceleration testing and trim and tunnel reaction review, the boat returned and there was a little discussion before changing to the more-aggressive-pitch props. Heading out for initial run, AKA; "Stir that muddy water"
Different props, full safety gear and communication equipment, plus a plan for testing and adjustments, made the next part of the maiden voyage a test of anticipation for those of us left to watch, record and photograph. 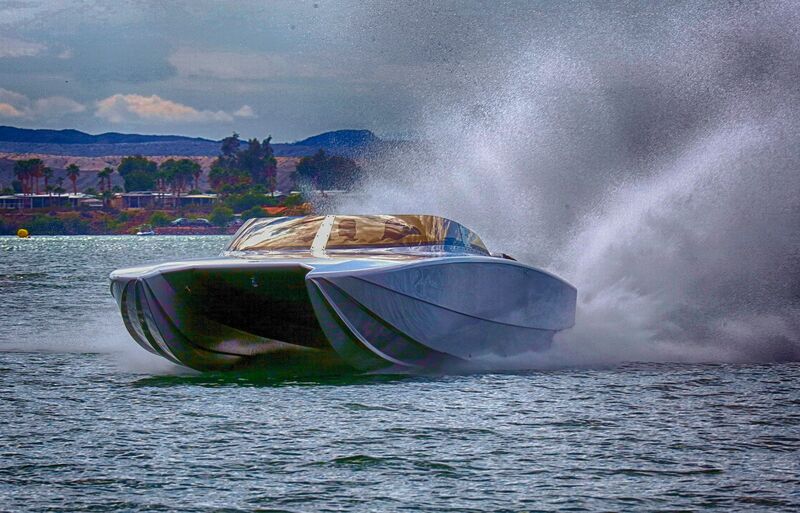 Connected with Arneson ASD 7 drives and equipped with BAM Super Cyborg transmissions, the boat’s Sterling engines provided plenty of power and acceleration, according to Cutsuries, who was on hand while Skater’s Mike Veldoff and Tyson Garvin ran the catamaran. Following a couple of passes with the more aggressive props, the day’s testing was complete and it time to head back to the shop to review the data and the performance videos/photos to determine attitude and handling characteristics. Skater founder Peter Hledin and company determined that more aggressive props were needed for additional testing as well as a pair of identical-pitch props with different rake. After receiving and testing the new props, it was determined that some dialing in is still necessary but that the team was on the right track. The boat, which includes an integrated swim ladder, a thunderous stereo system and a 10-inch Garmin GPS flanked by full instrumentation on each side, was on display Saturday at the West Michigan Offshore kick-off party (read the story) in Holland, Mich., and is leaving next week for Lake Havasu City, Ariz., where it will be displayed at the Desert Storm Poker Run Street Party..
Look for it on Lake Havasu—it’ll either be fending off evil or reminding you just how precious enjoying life is. But, unlike the Lone Ranger, wearing a cowboy hat while riding is not recommended. I was getting pursued by a recruiter for a pretty high level job for a few days. I said "if I get that job... you know that Skater widebody at the Miami show...?" Every once in a while, a special boat comes along. The 3312 is one of those special boats. Nice job Tyson, Tony and Mike and everybody at Skater. Congrats Mr. Hledin on another show stopper. 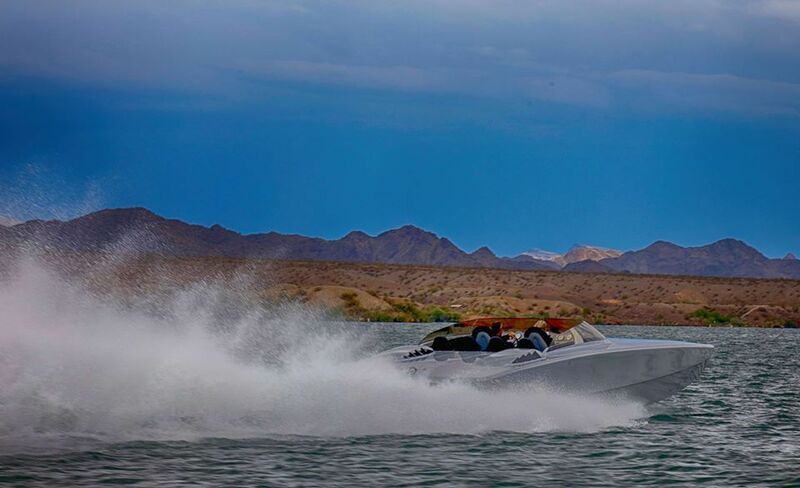 Running the Shootout at Havasu's Desert Storm.